Your Missing Link is respected as the leader in personal training and guiding the mindful individual in making lifestyle choices that produce his/her desired health, well-being, and appearance. A life where your health is inherent, vibrant, optimized and enjoyed. You look and feel your best. You exude confidence and success. This has never been truer than with your health, mind, and body. 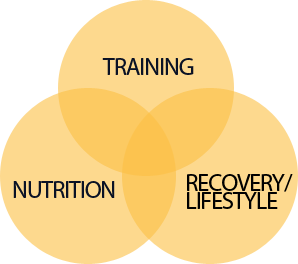 Nutrition, exercise, and recovery/lifestyle must be running properly and in balance. A program is customized to suit your individual needs. The protocol uses effective, intelligent techniques and provides desired results. I encourage success through results, not becoming discouraged by failure. Efficient use of your time; I know your time is valuable – “time is money”. Where the mind goes the body follows: gain the mental edge. This could be the X-Factor that you have been looking for. Your weakest link also applies to a strong mind for a strong body.